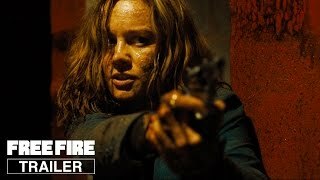 Set in a colorful yet gritty 1970s Boston, Free Fire opens with Justine (Oscar® winner Brie Larson), a mysterious American businesswoman, and her wise-cracking associate Ord (Armie Hammer) arranging a black-market weapons deal in a deserted warehous... show all e between IRA arms buyer Chris (Cillian Murphy) and shifty South African gun runner Vernon (Sharlto Copley). What starts as a polite if uneasy exchange soon goes south when tensions escalate and shots are fired, quickly leading to a full-on Battle Royale where it’s every man (and woman) for themselves. 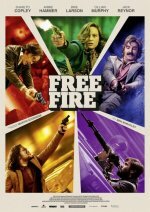 Free Fire centers around an arms deal that goes spectacularly and explosively wrong. Justine (Larson) has brokered a meeting in a deserted warehouse between two Irishmen and a gang led by Vernon (Copley) and Ord (Hammer), who are selling them a stash... show all of guns. But when shots are fired during the handover, complete pandemonium ensues, with everyone at the scene suddenly thrust into a heart-stopping game of survival. Centers around an arms deal that goes spectacularly and explosively wrong. A24 has acquired U.S. rights to Ben Wheatley’s action-thriller Free Fire.